Seagate Technology is suitable for the Enterprising Investor but not the Defensive Investor. The Defensive Investor is concerned by the low current ratio, lack of earnings stability over the last ten years, inconsistent dividend record, and the high PB ratio. The Enterprising Investor is only concerned with the level of debt relative to the net current assets. As a result, all Enterprising Investors following the ModernGraham approach based on Benjamin Graham’s methods should feel very comfortable proceeding with further research and comparing the company to other opportunities. Dow Chemical is not suitable for Defensive Investors but it does pass the initial requirements of the Enterprising Investor. The Defensive Investor is concerned with the low current ratio, the insufficient earnings growth over the last ten years, and the high PB ratio, while the Enterprising Investor’s only concern is the level of debt relative to the net current assets. As a result, all Enterprising Investors should feel very comfortable proceeding to the next part of the analysis, which is a determination of the company’s intrinsic value. When it comes to that valuation, it is critical to consider the company’s earnings history. In this case, it has grown its EPSmg (normalized earnings) from $1.49 in 2011 to an estimated $2.65 for 2015. This is a fairly strong level of demonstrated growth, and outpaces the market’s implied estimate for annual earnings growth of 5.61% over the next 7-10 years. Kimco Realty Corporation is suitable for the Enterprising Investor but not the more conservative Defensive Investor. The Defensive Investor is concerned with the insufficient earnings stability or growth over the last ten years, and the high PEmg ratio. The Enterprising Investor is only concerned with the high level of debt relative to the net current assets. 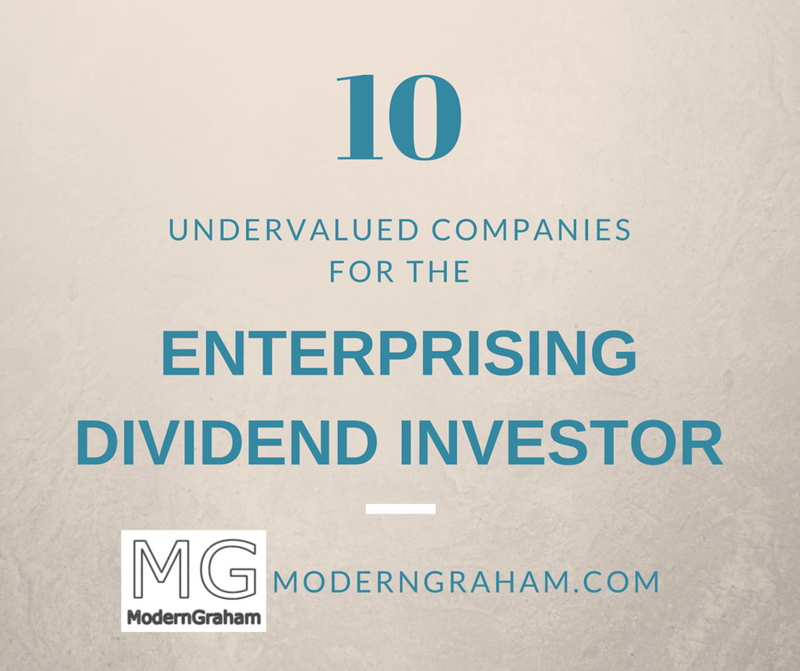 As a result, all Enterprising Investors following the ModernGraham approach should feel comfortable proceeding with the valuation. Weyerhaeuser Company qualifies for the Enterprising Investor but is not suitable for the more conservative Defensive Investor. The Defensive Investor is concerned with the insufficient earnings growth or stability over the last ten years, and the high PEmg and PB ratios. The Enterprising Investor is only initially concerned by the level of debt relative to the net current assets. As a result, all Enterprising Investors following the ModernGraham approach based on Benjamin Graham’s methods should feel comfortable proceeding with further research into the company. International Paper Co. is suitable for the Enterprising Investor but not the Defensive Investor. The Defensive Investor is concerned by the low current ratio, lack of earnings stability over the last ten years, and the high PEmg ratio. The Enterprising Investor is only concerned with the level of debt relative to the net current assets. As a result, all Enterprising Investors following the ModernGraham approach based on Benjamin Graham’s methods should feel very comfortable proceeding with further research and comparing the company to other opportunities. LyondellBasell Industries qualifies for the Enterprising Investor but not the more conservative Defensive Investor. The Defensive Investor is concerned with the short history post bankruptcy, and the high PB ratio. The Enterprising Investor is only initially concerned with the level of debt relative to the net current assets. As a result, all Enterprising Investors following the ModernGraham approach based on Benjamin Graham’s methods should feel comfortable proceeding with further research into the company. Disclaimer: The author held a long position in Ford Motor Company (F) but did not hold a position in any other company mentioned in this article at the time of publication and had no intention of changing those holdings within the next 72 hours. This article is not investment advice, and all readers are encouraged to meet with a registered investment adviser prior to making any investment decisions. ModernGraham has no affiliation with the companies. Please view our more detailed disclaimer.